Pinballs are complicated, advanced electronic machines. They’re usually extremely reliable but, like anything else, on occasion something can go wrong. For your peace of mind, we include our comprehensive on-site warranty with each pinball we sell. Our warranty covers any faults or damage arising to your pinball machine, excluding any faults or damage caused by negligence. Our trained pinball technician will visit you and repair the fault on site. All parts, labour and our technician’s travel costs are included. How long is my warranty cover? For new pinballs, you’ll be covered by our on-site warranty for 12 months from the date of first delivery. For the second 12 months you will be covered for any parts failure. 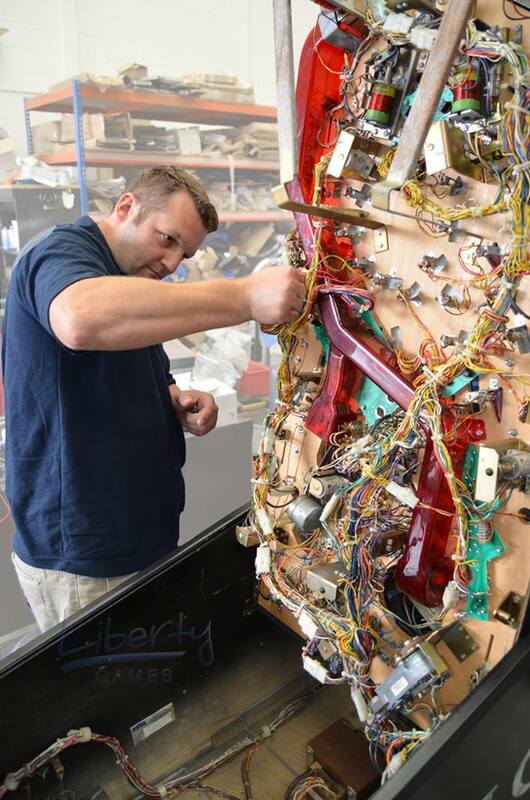 For reconditioned pinballs, you'll be covered by our on-site warranty for 12 months from the date of first delivery. Your warranty then expires one year after delivery. You’ll be covered by our on-site warranty for 6 months from the date of first delivery. What is a ‘commercial premises’? Commercial premises include bars, pubs, common rooms, offices and similar environments, where a machine is likely to be played far more often by people other than the machine's owner. What do I do if my pinball develops a fault? In the first instance, take notes of the fault (including photos or video if you can). Use our contact form to send us all details of the fault, and we’ll get right back to you.